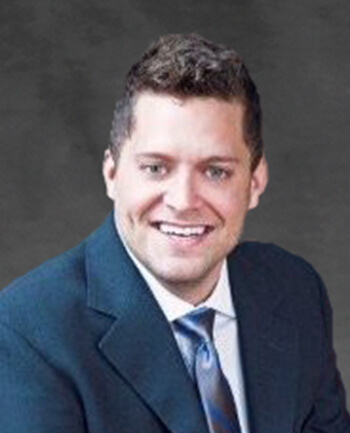 Blair Kerr | NMLS315456 | bemortgage, a Division of CrossCountry Mortgage, Inc.
Having grown up in Grand Rapids, Michigan, Blair Kerr moved to Chicago to begin his career in the mortgage industry in 2003 after he graduated from Michigan State. With 15 years of mortgage experience under his belt, Blair understands the importance of communication. Every Tuesday, Blair sends his clients an update on their loan so that they’re never questioning where their loan is in the process. He also does his best to ensure that his borrowers close on time and efficiently. When Blair isn’t closing loans and answering mortgage questions, he enjoys playing squash and exercising. Blair is a member of the University Club of Chicago, where he spends much of his time socializing, conducting business and creating lasting relationships. My wife and I bought our first house last summer. Blair was so easy to work with and guided us through the whole process from pre-approval through getting us the best rates at close. When we wanted to put in offers, he was always available to discuss and send personalized letters. He was able to explain all the forms and paperwork to make sure we were comfortable since this was our first home. We’d highly recommend Blair for your home purchases! Blair was absolutely awesome to work with. As first time home buyers, my husband and I had lots of questions and Blair was happy to answer them. He was prompt and answered questions quickly no matter the day or time. He is very knowledgable in today's market and was a very important piece for us to purchase our home. Blair and his team made the whole process go smoothly for us. Without a doubt, I would recommend Blair! He's the best. I was nervous about taking out a jumbo mortgage, but Blair was there with me through the entire process. He was able to lock-in a great rate and Blair and Darleen were able to make sure the proper paperwork was submitted. I would not have been able to close on time without the hard work both of you did for me. Thank you for going above and beyond to get everything through so promptly, I will definitely recommend you to everyone I know in the future.